Today, April 28, is Arbor Day. 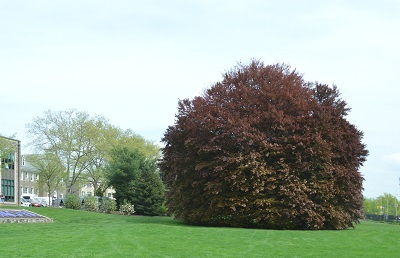 The huge tree shown in the photograph grows in front of Dougherty Hall and is one of the largest trees on campus. There are numerous trees all around campus. 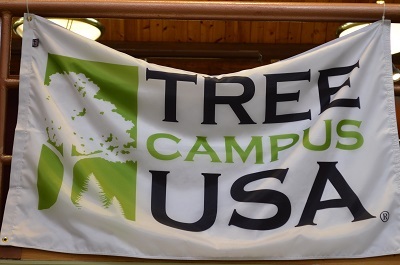 Villanova University was recognized by the Arbor Day Foundation as a Tree Campus USA® in 2016. This banner hangs in the Connelly Center.